There’s an Asian superhero in the upcoming Guardians of Galaxy Vol. 2! 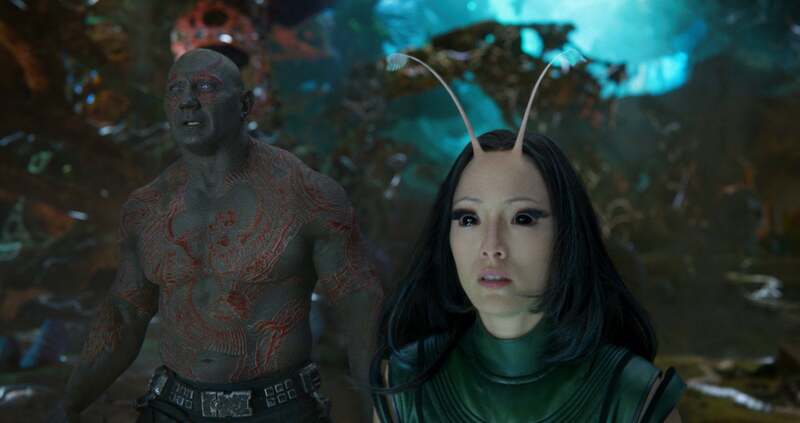 From the Atlanta set of the the latest Marvel saga, Pom Klementieff discusses her takes on Mantis, her new role in the Marvel Universe, and what it was like working with the Guardians family. 美国今年美式足球超级碗Super bowl出现一张亚裔面孔， 她的造型奇特，引人好奇。 这个头上有两根长触角，瞳孔黑又深的新面孔是漫威将在五月上映的《银河护卫队续集》（Guardians of Galaxy 2）其中新角色螳螂（Mantis).